Reading and share top 1 Cetta De Luca famous quotes and sayings. 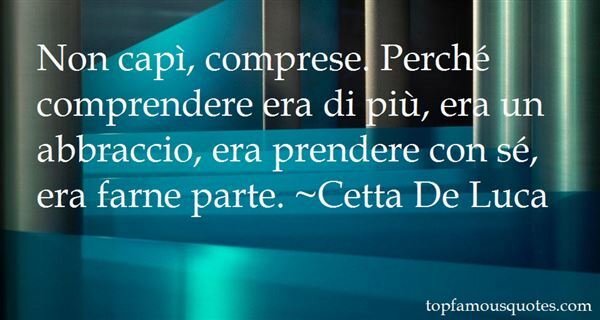 Browse top 1 most favorite famous quotes and sayings by Cetta De Luca. Eldest taught me about ancient religions that worshiped the sun. I never understood why- it's just a ball of light and heat. But if the sun of Sol-Earth swirls in colors and lights like that girl's hair, well, I can see why the ancients would worship that."